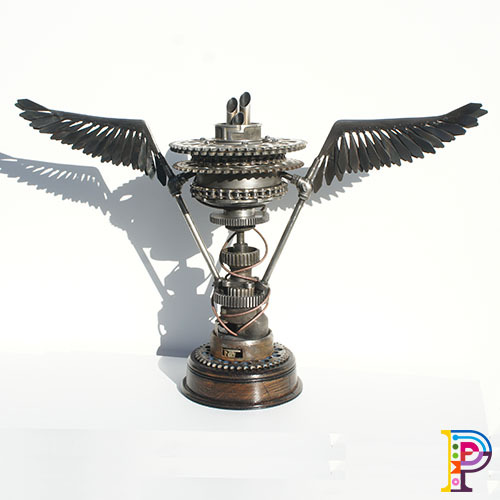 This was a custom made trophy, commissioned by Primal Media, for the series Carnage on Sky One. Carnage was a show about teams transforming ordinary cars into extraordinary battle machines. Once built, the competitors took their crazy vehicles around various purpose built arenas in South Africa, smashing and crashing them into one another. 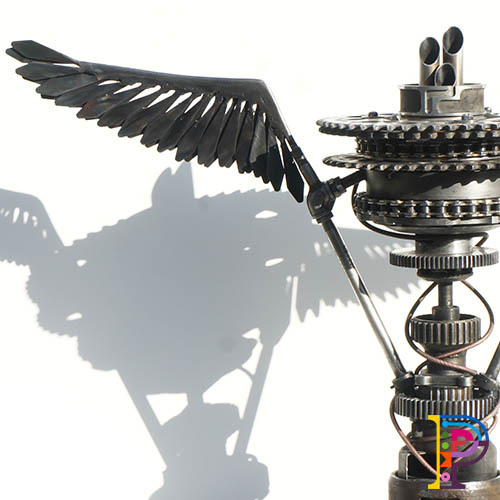 The team, whose “Mad Max” motor survived all the elimination heats, went on to win the series and was awarded winged trophy. Think Mad Max vs Robot Wars vs Wacky Races. 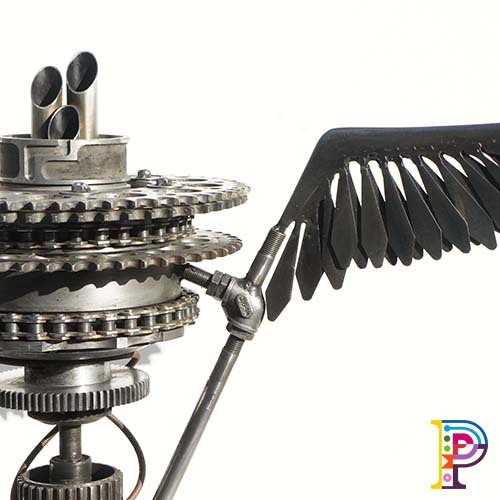 This bespoke designed award was created from car parts recovered from local scrap yards and breakers around our workshop. 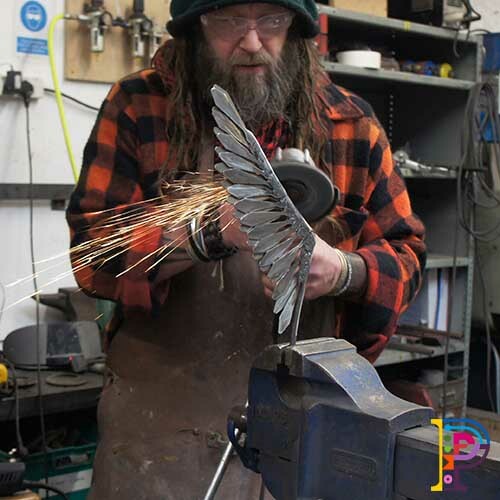 Each components was then welded and fitted together to form this striking winged sculptural piece.